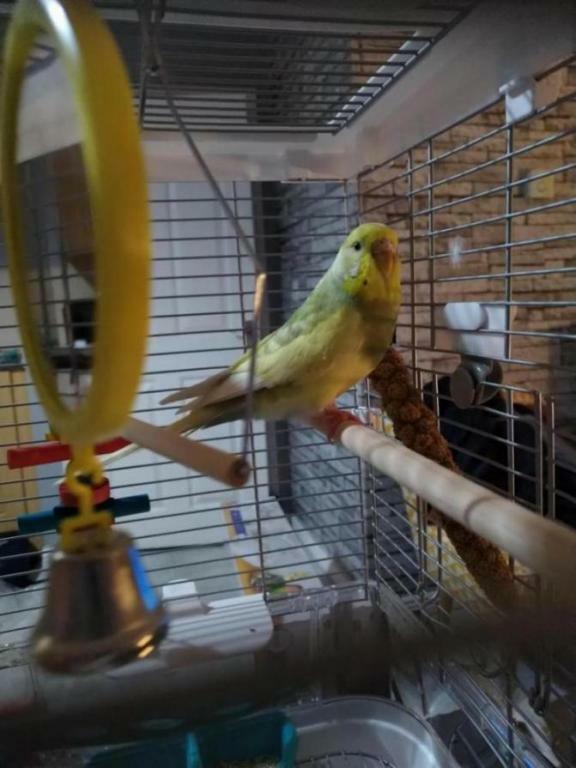 I've just inherited a Budgie and I'm completely unsure as to what gender it is..
Last edited by FaeryBee; 03-16-2019 at 08:52 PM. Hi Aaron and to the forums! It's great that they're in separate rooms right now - you would need to quarantine her for at least 30 days before introducing her to your male. Do you plan on having them in the same room eventually? It's great that you are ensuring that no accidental breeding takes place - however, it's relatively easy to discourage budgies from mating with each other, even if they're in the same cage. Meanwhile, you've come to an excellent place to learn even more about the best of budgie care practices. Please be sure to read through the forums' many budgie articles and "stickies" (threads "stuck" to the top of each subforum) to ensure you're up to date on everything! If you have questions after doing so, please be sure to ask as we'd love to help. Your little girl is very cute. I recommend you remove the wooden dowel perch in the cage and replace it with natural wooden perches of varying diameters to help prevent pressure sores. Hi and congrats on your new girl! Great that you’re observing quarantine for at least 30 days, which is recommended whenever bringing a new bird in. It’s also good that you are conscientious about not letting them accidentally breed . We have lots of useful tips and the most current information on budgies, in the Stickies near the top of each forum section. Please take a look there. You’ll find answers to questions as well. If you have more questions, just ask. Looking forward to hearing more about your budgies!